The perfect putt. It's simple, really. The graceful pendulous motion, the connection that rolls up the shaft and into your hands, the ball rolling into action, tracking until it vanishes beyond the horizon of the pale white cup. Those are the feelings we needed from our putters, so we spent years searching for the best way to make a putter, with no cost cutting, and no wasted frills that offer little in terms of performance. They need a solid block of steel with the perfect weighting, the right amount of toe hang for the arc of their swing, and a double milled face to get the ball rolling instead of skidding. That's it. So that's what we did. 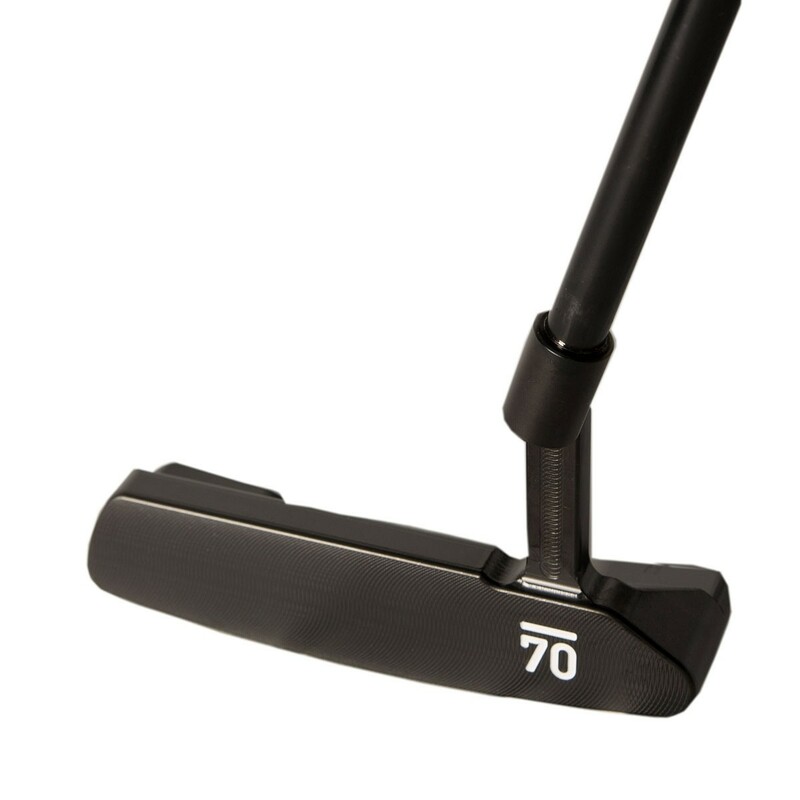 Sub 70 putters are produced in the most perfect and costly manner that exists, because they are that important. Each of the three putters are CNC milled from a solid billet of 1045 carbon steel, which through testing we have found provides the best sound and feel combination possible. There are no welds, no castings, and no inconsistencies in our putters. The faces themselves are double milled, with a tour face design that provides the perfect roll on all but the most off-center strikes. Our putters are heavier than average, which we believe offers better feel and roll on average, and promotes a better putter swing. Finally, each putter is matte carbon black in both the handcrafted putter shaft and the head to reduce glare and offer outstanding ball to head contrast. Currently, Sub70 has three head designs. In the future, each putter line will carry the name of a small town in Northern Illinois where we live and have grown up. These towns represent not only our values but our philosophy on putters: understated style that is built to perform without glitz. Each Sycamore Series Sub70 putter will come with a Sycamore Series Headcover. The Sycamore 001 is our blade, which sports a heel and toe weighted 380 gram head with a plumber's neck offset, a single alignment mark, and 35 degrees of toe hang for swings with more arc. A statement in elegance and spartan ethics, this putter is a thing of beauty with a sole purpose of getting the ball in the hole.